A SOUND EXPERIENCE LIKE NO OTHER!!! 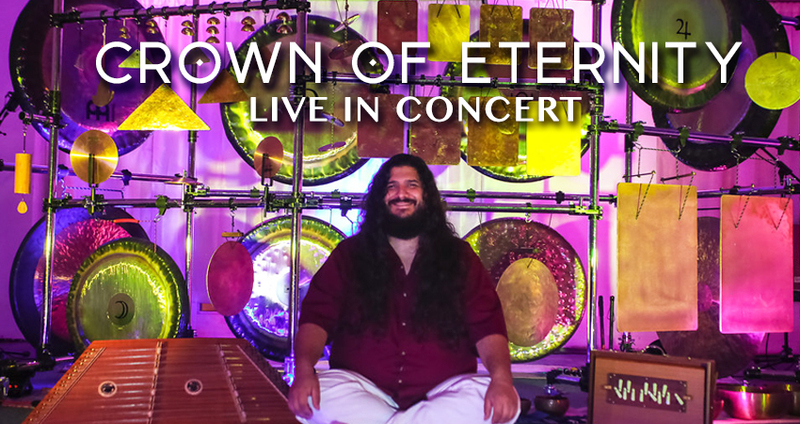 Allow yourself to enter a timeless space of listening as​ ​Crown​ ​of​ ​Eternity's Mike Tamburo orchestrates his way through 50+ overtone-rich instruments including Gongs, Bells, Hammered Dulcimer and tuned metal instruments. Listeners have described Mike Tamburo's music as an adventure in listening; sonic bliss; a​ ​deep​ ​and​ ​lasting​ ​vibrational​ ​rejuvenation​ ​for​ ​body​ ​and​ ​soul;​ ​a​ ​profound​ ​aesthetic experience​; a journey ​through​ the senses and a perceptual rollercoaster. Allow yourself to be still and listen. Space is limited! Get your tickets in advance! PLEASE BRING a yoga mat, blanket, or cushion for your comfort during extended relaxation on the floor. We invite you to co-create a sensitive, safe, deep listening and meditative experience for all participants. It is expected that all will commit to an agreement of being still, quiet and honor and respect a deep transformative space throughout the entire experience. It is our intention to create an inclusive experience. Mike Tamburo has spent his life serving and exploring the power of music. 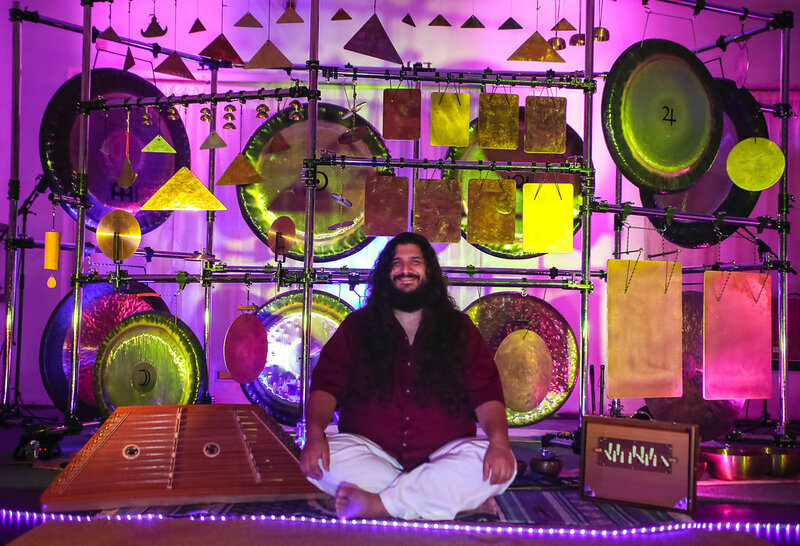 His concerts and workshops are heart-centered, uplifting, sonically multi-dimensional, life-affirming experiences that focus on self-transformation through conscious listening and breathing. He lives in deep gratitude and joy that his life of music has had meaning and been of use to the world around him. He seeks peace and harmony in his life and hopes to share this peace with others through his music and teachings. Through extensive national tours both solo and with Crown of Eternity, Mike has offered countless workshops, classes, therapy sessions, concerts and retreats and has guided thousands of people to listen deeply, relax, reconnect to themselves and most importantly marvel at the power of sound. © 2019 BrightStar Live Events. All sales are final. Tickets are non-refundable. Need help marketing your mind-body-spirit event? Looking for a conscious ticketing solution?